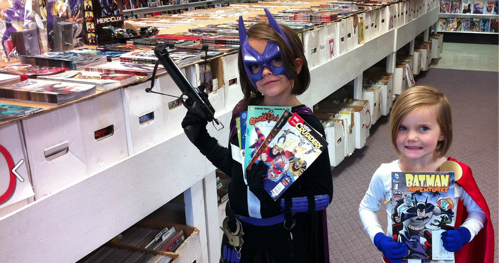 We'd like to thank everyone who helped these two little girls win costume contests. Your votes helped make that possible! To celebrate, we throwing a party for the kids, so bring your family down this Sunday, December 2 at 5 p.m. for cake and punch and good times. If you can make it, and if you have a Facebook account, please RSVP on our FB Event listing, so we can make sure we have enough cake!